Carmina and Illuminare are honored to welcome noted singer, conductor, and educator Evanne Browne as guest conductor for our March 2019 program, Read about her here. Dr. Vera Kochanowsky, founder and director of Carmina and Illuminare, is a professional harpsichordist and graduate of the Oberlin and New England Conservatories. She holds the Doctor of Musical Arts degree from Stanford University, where she specialized in the performance practices of the 17th and 18th centuries. Dr. Kochanowsky was also the recipient of a Fulbright grant for harpsichord and early music studies in Europe. Her teachers have included John Gibbons, Arthur Haas, George Houle, Alan Curtis and Gordon Murray. Active as a choral conductor, harpsichord soloist, chamber musician, and singer, Dr. Kochanowsky has performed with numerous Washington-area groups including the National Gallery Chamber Players, the Bach Sinfonia, Ensemble Gaudior, and the Washington Kantorei. The Washington Post praised her solo performance at the Phillips Collection as “a first-rate recital ... poised, pristine, luxuriant.” She has also made solo appearances at the National Gallery of Art and the Montpelier Cultural Arts Center (whose recitalist competition she won in 1995 and 2002). She has concertized extensively with harpsichordist Thomas MacCracken, and together they have released two CDs: Pour 2 clavecins and A Decade of Duos. 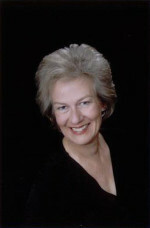 Dr. Kochanowsky founded Carmina in 1997 and Illuminare in 2006. , and in 2006 she started the Carmina Women’s Ensemble, now known as Illuminare. She teaches harpsichord, voice, and chamber music privately, and regularly lectures about her father, whose autobiography, Lenin, Hitler and Me, she published in 2016. Carmina assistant director Dr. Hubert Beckwith teaches music history and literature at George Mason University. After earning a PhD in musicology at the University of Maryland, he served as the first executive secretary of the American Handel Society. For fifteen years he taught at the University of Maryland University College, as well as at the University of Maryland at College Park. He has contributed to projects ranging from a series of international Roman Catholic worship resources to the National Tune Index of early American wind-band music. He served over twenty-five years as choral and music director at area churches. A composer, arranger, and writer on music, Dr. Beckwith often prepares performing editions for Carmina and Illuminare. For Carmina’s 2004 concert at the German Embassy, he composed an enthusiastically received birthday tribute to Beethoven. He has sung with Carmina since 1998 and has shared in its direction since 2007.